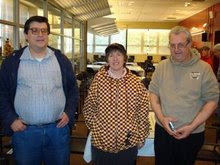 Earlier today I visited the new Dean of Chess Academy in Flemington where I played a rated match versus Atlantic Chess News editor Steve Ferrero, who is featured in some of these photos along with tournament director Noreen Davisson and her son Richard. On Sunday, Ziping Liu won quad four in Westfield with a final score of 2-0-1. 24.h6 Bf6 25.Rxf6 Qg8 26.Qxe7 Re8 27.Qxd6 Re1+ 28.Rf1 Rxf1+ 29.Nxf1 Qg6 30.Qf8+ Qg8 31.Qf6+ Qg7 32.Qxg7#. These pictures were taken by me during Sunday's quads in Westfield. During Saturday's quads in Hamilton, I took these pictures. 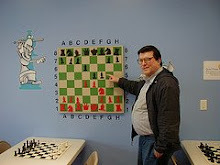 At Contre Gambit Philidor, Frederic Fournier gives improvements for Black in my game against Richard Blank [pictured]. In week ten of the U.S. 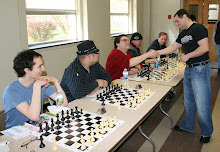 Chess League, the New Jersey Knockouts failed to make the playoffs when they lost to the Baltimore Kingfishers. These are the games from boards one, two, three, and four. At Sunday's quads in Westfield, I drew the following game in the PCG. 31.Kd2 Ke4 32.e6 Kf3 33.Bd6 Bxe6 34.Kc1 Bf5 35.Kb2 Be4 36.Kc1 g5 37.hxg5 b4 38.Kb2 b3 39.Bc7 a4 40.Bd6 Kg4 41.Bc7 Kxg5 42.Bd6 Kg4 43.Bc7, draw. Yesterday I drew this game at the Hamilton quads. 33.Nd5 Kd6 34.Ne3 Kc5 35.Kc3 Bf7 36.Ng4 Be6 37.Nf6 h6 38.Ne4+ Kd5 39.Nd2 Kc5 40.Ne4+ Kd5 41.Nd2 Kc5, draw. 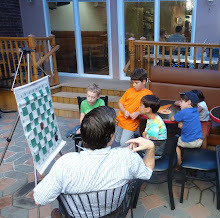 The Marshall Chess Foundation announces the inauguration of the Marshall Chess Academy. Devoted to the pursuit of chess excellence, the Marshall Chess Academy is where players can learn how to improve their games through instruction by top players and experienced teachers. 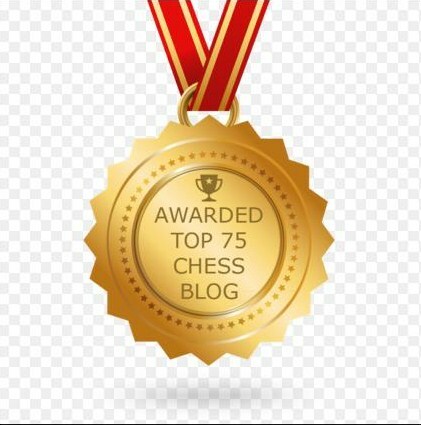 The curriculum will consist of such lessons as attacking chess and sacrifices, endgame mastery, latest opening theory, strategic positional planning, practical play, and instructional games. Admission: open to tournament players of all ages and ratings. Faculty: grandmasters in residence Nick De Firmian and John Fedorowicz. Sections: limited to small groups. Dates: starting Friday, November 5, 2010 from 4pm to 6pm. Subsequent sections: Friday, November 12th and Friday, November 19th from 4pm to 6pm. Future dates to be announced. Tuition: $60 for the two-hour class. 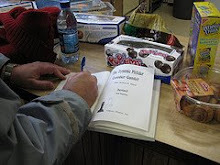 Discounts will be available for three or more classes, paid in advance. $250 for five sessions. 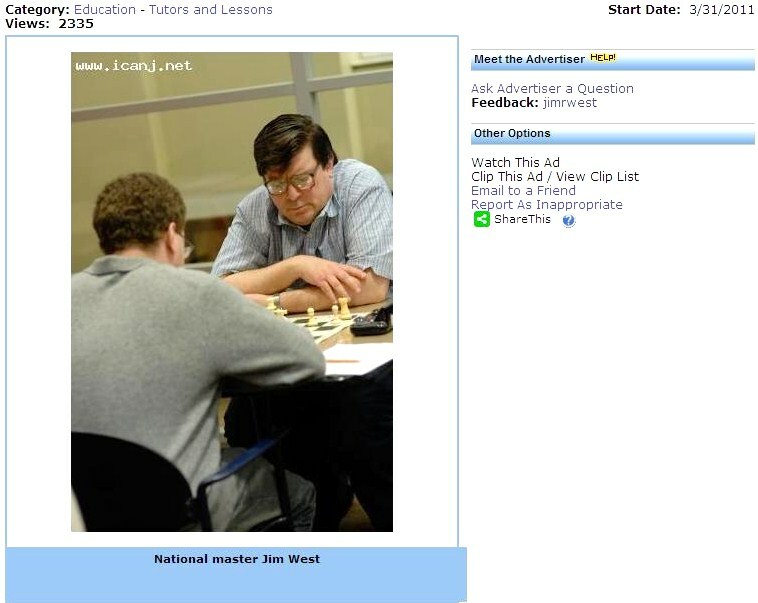 Application: call, visit, or write to the Marshall Chess Club, 23 West 10th Street, New York, NY 10011. 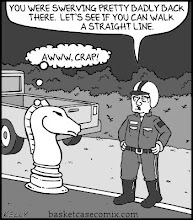 Improve your game at the world’s most famous chess club! Sign up now. Space is severely limited. 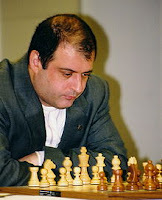 NICK DE FIRMIAN [pictured left] is acclaimed as the world's leading expert on chess openings. He "taught" the supercomputer Deep Blue the opening moves it used to defeat world champion Garry Kasparov in 1997. Three-time United States chess champion, he has also represented the United States in seven chess Olympiads and three world championship cycles. 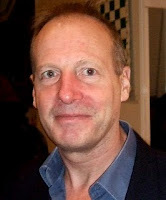 JOHN FEDOROWICZ [picured right] is one of the leading players in the United States, chalking up victories at Cannes 1987, Sesimbra 1987, Wijk Aan Zee 1990, New York Open 1989, and the U.S. Open and the World Open in Philadelphia. Fedorowicz has captained the U.S. Olympiad team on two occasions and has frequently acted as a second or advisor to world championship candidate Gata Kamsky. 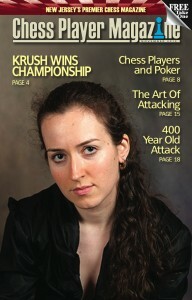 Premier Issue of "Chess Player Magazine"
Sign up for a free subscription to Chess Player Magazine. 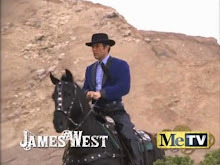 Here is a preview of the premier issue. 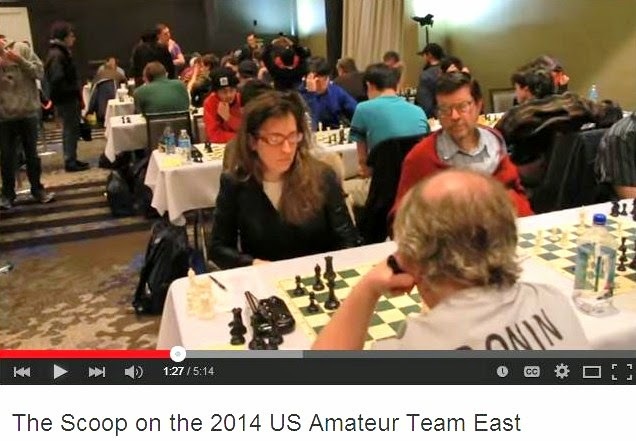 Here is a video from the Today show featuring children playing chess. ATKM Super Sunday Quads in Pitman NJ on October 24th. First round begins at 11am. 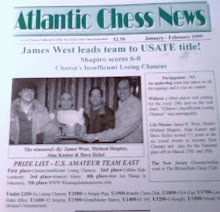 In week nine of the United States Chess League, the New Jersey Knockouts won their match against the New York Knights. 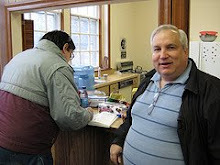 On Sunday, I won the following game at the Marshall Chess Club. 50.Kb4 Rb7+ 51.Ka5 Rc7 52.Kb5 Ke7 53.c5 Rb7+ 54.Kc6 Ra7 55.Kb6 Ra1 56.c6 Rb1+ 57.Kc7 Rc1 58.Re2+ Kf8 59.Kd7 Rd1+ 60.Kc8 Rc1 61.c7 Rc3 62.Re4 Rb3 63.Kd7 Rd3+ 64.Kc6 Rc3+ 65.Kd6 f6 66.Rb4 Rd3+ 67.Kc5 Rc3+ 68.Rc4, Black resigns. 69.b5 e1=Q 70.a6+ Kb6 71.Qd8+ Kxb5 72.Qb8+ Kxa6 73.Qa8+ Kb5 74.Qb7+ Qb6 75.c4+ Kc5 76.Qd5+ Kb4, White forfeits. Zilbermintz @ "Contre Gambit Philidor"